Posted on February 4, 2014 . 100 Comments. Last week we posted an outstanding article on training for the TSC by Jason Marshall, Senior SFG. Jason referenced the “Fighter Pull-up Program,” a plan by an unknown Russian author I wrote about a decade ago. The FPP is remarkable; you may have read how Amanda Perry, SFG progressed from 6 to 13 strict pull-ups in one month. We are reprinting the program by popular demand. One look at Mike Tyson’s back when he punched should make it obvious how important the lats are to a fighter. The lat provides a connection between your arm and the rest of your body at the moment of the punch’s impact. If the “armpit muscle” is not activated, you cannot put your mass behind the punch and your shoulder is asking for trouble. The pull-up is the logical choice of exercise to strengthen your lats. If you ask an experienced bodybuilder how to work the latissimus most thoroughly, he will tell you to look up, force your chest open, and draw your shoulder blades together at the top of the pull-up. This may be okay for bodybuilders, but what does this have to do with fighting? You move in the ring in what gymnasts call “the hollow position”—the scapulae flared and the chest caved in. This is the way you should finish your pull-ups. Look straight ahead and hunch over the bar. Touch your neck or upper chest to the bar to make sure there is no question that you have completed the rep. Lower yourself under complete control and pause momentarily with your arms fully straight before going for another rep.
Pavel demonstrates a tactical pull-up at a course at the US Marine Corps base in San Diego. Here is a powerful Russian pull-up program adaptable to any level of ability. You start with an all-out set and then cut a rep in each consecutive set for a total of five sets. The next day add a rep to the last set. Then a rep to the set before that, etc. The system is intended to be used for four weeks. At the end of the month, take two or three days off and then test yourself. It is not unusual to up the reps 2.5-3 times. In other words, you are likely to end up cranking out 12-15 reps if you started with 5. If you can already do between 6 and 12 reps, then start the program with the first day your PR shows up. For instance, if your max is 6 pull-ups start with day 7; if your max is 8 start with day 19. If you run into a snag with this routine, back off a week and build up again. If you hit the wall again, switch to another routine. Amanda Perry, SFG, doing 13 strict pull-ups. You can see that the higher the RM, the quicker the reps drop off. The reason is simple. You should have no problem doing four reps a few minutes after 5RMx5. But x24 is not going to happen after an all-out set of 25. The higher the reps, the greater the fatigue. Therefore, you need to start more reps down from your rep-max and cut the reps more between sets. Experiment. An extra day of rest here and there is also in order; the recovery from sets of fifteen or twenty is not nearly as quick as from fives and triples. Yakov Zobnin from Siberia, the Heavyweight World Champion in Kyokushinkai, “the world’s strongest karate,” stands over 6’6” and tops the scale at 220 pounds. In spite of his basketball height and exhausting full contact training, the karateka maxes out at 25 strict pull-ups. What is your excuse? I’m on week two of the RFPP program having begun with day 7. I’m progressing each day and enjoying the process. I personally space the sets out an hour or more. I feel very prepared and accurate when it comes time to knock them out. An upcoming set can be looked forward to and the mind can be thinking of its execution. A little more like GTG and less opportunity for exhaustion. I have a question that I’ve not come across already answered. Having started a week in, on day 7, do I continue another week of RFPP past the 29th day (to achieve a month’s worth of training rather than just three weeks)? 10, 9, 8, 7, 6 and so on for 6 days? Thanks, I’m enjoying the process and SF content! how much min rest do you need to take between sets? I max out at 20 pull-ups. What exactly would the programming be for this? I have an idea how to obviously (split the difference between 15 and 25) but if someone knows the exact programming that would be awesome. Thanks! As a judo guy for 30 years I can say that pullups/chinups definitely give you a lot of the strength and conditioning you need for this kind of fighting at least. Sometimes they’re about the only exercise you have the time and energy left over for outside of training. They take almost no time to do, keep your whole body under tension, and load a lot of weight onto your upper body; there are also variations that lead into other nifty things like L-sits and asymmetrical chinups and stuff. I am going to challenge people a bit by putting forward my idea that chinups are just as good as pullups or maybe better for some things because they develop your biceps muscles a bit more and these are useful in fighting also. Does ‘build up again’ mean start all over again? So for the 15RM program day one the sets would be: 15, 12, 10, 8, 6, 4? Or no 15 rep to start? as I interpret it you should do as you suggest yourself starting with 15RM. What is your max is only at 1 or 2 pull ups? Do 1 or 2, and then for the rest do 3x eccentric pull-ups: Use a chair or box to start at the top of a pull-up with your chest to the bar, and then lower yourself slowly to the bottom of the pull-up. This also applies if you can’t do any pull-ups. should we warm up before every set for avoiding the injury. Just wondering how much rest in between sets is optimal for this program? As this program is not meant to overwork the muscles, as long as possible. Too short a rest, and you might tire too soon, hit failure and reduce the quality of your practice. Too long, and you might overlap training days. Heh. * Minimum of 10 minutes between sets as per research. * One session in the morning, another at lunch and the last one in the evening might work for you. Whatever suits your schedule. is 10minutes not to long? I´m working on going above 15 RM and would like to try this Programm. So 10min rest per set or doing the sets over the Day is good? However I do not understand what 15RMX12 means. I would greatly appreciate an explanation. Thank you. It is simple. 15RMx means your current repetition maximum is 15. On the first day of the program you are supose to do 5 sets of 12, 10, 8, 6, 4 pull ups then continue as written above. On the 7th day you are going to do 5 sets of 14, 12, 10, 8, 6 and then keep going in this manner for 30 days. I started 5RM workout from day 13, and I did 14 pull ups. Now I’ll do 15RM program. Thanks a lot in advance, i can do 10 reps with bodyweight, so i decided to start this program with 7kgs in a bagpack, as a 5 RM. Nice feel, but i’m wondering if i’ll be able to follow it without burning out. Love this program. Applying it to handstand pushups and standing ab wheel rollouts (w/ band assistance). I have a couple weeks to go, but I can tell I’m improving. Can I mix this program with a GTG for one-arm push ups? I am looking to do the same. Hope we have an answer soon! How many different exercises could one safely use this method? I am looking at using this approach for bodyweight squats, push ups, leg raises, and pullups. I am planning on a 3-5 day training week; not sure if a split would be recomended. Currently, I am training deadlifts with 2 warm up sets and 2-3 work sets all at 5 reps. Would I still be able to do these 3-5 days a week? If so, would I need to coordinate my deadlift cycle with these cycles; or work each cycle independently? Thank you for your work, just started this program on the 3RM. I’d say just long enough that you know your get all the reps with good form, but really rest up to 6 minutes if you got to just make sure you do quality reps and I don’t know and a 8-12 sec at the top at the end of your set of your last rep just to make sure your properly stimulating the muscle and using the right ones getting the neural path way set up properly. I am following your S&S program with great results. I want to increase my pull-up as well. Do I work this into the PM before or after the swings and get-ups? I mixed the figther pull-up routine with S&S PM, and my experience is quiet good. I even sneaked in Heavy deadlift singles once or twice a month. Fantastic simple and minimalistic routine. How would you integrate this with other training? 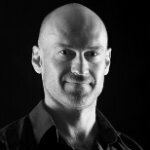 Should I cut out other weight training to allow my body to adapt to the single stimulus more effectively? great program !!! got from 7 up to 20 strict pull-ups ( I did chin-ups) and turned me into a real beast (-: I changed it a little and did sets of three instead of five. Five sets per day were leading to burn out in my case. Anyway thanks for your help and keep on publishing those strengthening programs, i just love them. I would like to ask you something about the ladder pull-up routine. I am doing everyday 17 sets x 1,2,3 pull-ups. This means that I do 1 pull-up, I rest 10 seconds, then I do 2 reps followed by 10 seconds rest and finally 3 reps and after that 2 mins and 30 seconds pause. I perform as many sets I could until my form is starting to break down, usually I perform 17 sets in one hour. That means a volume of 17 sets x 6 reps / set = 102 reps. I don’t feel burned and I would like to test my max every 4 weeks. After one cycle I will do 1,2,3,2,1, after 4 weeks I will retest my max and there after I will perform 1,2,3,4 and so on. I mention that my form is very good, controlled and my chest is touching the bar. Usually it takes 4-5 seconds to complete a pull-up. My objective is to reach at 40-50 pull-ups in one set, this is a good approach for increasing my total numbers for pull-ups? John, you have a good plan—but not for getting to 50 reps. Such high numbers require very specialized training. Pavel, Doesn’t look like the question about the 15RM program ever got answered, so I’ll ask it again as I’m confused about the notation as well. Or something else entirely? Thanks. That would be advisable to rest between sets? And once the target eg 20 rep reached. What would be the way to do proper maintenance? Jacinto, as long as you want. May ways to maintain. Reach it first, then post again. Would this work well with the kettlebell clean and press? Maybe not for strength but for adding reps.
Fred, absolutely. But you will need to use wave cycling: take a few steps forward, then a couple back. This program delivers results! My husband and fellow SFG Caleb and I used this program to train ourselves and our clients for the April 2014 TSC. Caleb and I followed the program training 5 days on 1 day off for four weeks. My previous best was 10 pull ups, and Caleb’s was 19. This TSC I got 13 and Caleb got 24! Our clients followed a modified program (most don’t have access to pull up bars everyday like we do) and also got fantastic results. Many were able to get tactical pull ups and flexed arm hangs with no assistance for the first time, and they were thrilled with their progress. Anyone looking to up their pull up strength should definitely give this program a try! Excellent gains, Kati and Caleb! Demetrios,i think you’re supposed to do this just once a day,not multiple times.Anyway,this is a great routine which really gives good results.I am starting something similar ,a pull up experiment.I am doing it as a diary and have made it public,the adress is thepullupdiary.blogspot.com .I will maintain it for at least 3 months and will make measurements periodically.Check it out if interested. How much rest should you take between sets, please? Thanks. On another post above he says to rest as long as you want. I tried to do this routine 3 times a day…. But when i got 8-9 solid reps i felt tired to do 2nd and 3rd round. Etc…… fill much better…. Still good solid reps…. When i finish this program I’ll share results . Thanks for the article Pavel ! How many times should I work this routine per day ? Pavel, I’m wondering if the is a longer program to the weighted pullup program. I’ve have done weighted pullups before and have found them to be a wonderful and effective excersise. Please reply! Hi, can i do this pull up program with S&S during the same day e.g. 16.00 s&s and after six hours pull up? Is there rest between sets? OK, got it. Just got the $10 S&S book,easy to read in a day to get oriented, reread a few times. The basic programming principles are all there. I dont understand the 15 rep max program. Does it mean that we do 12 sets of 15 reps before the 10,8,6,4? I say this because I know I can max at 15 pullups but I don’t think I can do that 15 times. Will you explain the 15 rep max program more? The same question as Ryan. Can I do it GTG style? Pistols are obvious for this program, just GTG, but i wonder how One-Arm Pushups will fit here? Reduce the volume to 3 days a week? And how many sets and reps? Luko, pistols are OK but I would not do it with OAPs—too much for the stabilizers. pavel will pullup slow you down in combat? Great Programm, but I’d like to know, if I should start with 10 reps if it’s my PR, or are there any variations? Thank you! Sergej, 9, 8, 7, 6, 5. Pavel, thank you, but I’ve started at 10-9-8-7-6 and arrived at 10-9-9-8-7 today. Unfortunately I couldn’t work out daily, but it feels good. I’ll write again after I’ll have completed the whole program. My main question is much wider: I’m looking for support to equilibrate my weekly training between kettlebells, bodyweight exercises, running and something like 5-3-1 from Jim Wengler. Can we probably start a new blog about it? I my self have a kind of CPU overload. Regards from Leningrad/Düsseldorf and power to you! Has anyone spread the sets throughout the day a la GTG? I’m trying GTG style now and am doing Day 13 today and I am able to follow the program (so far). As an older person, 73, GTG style makes it possible to do a younger person’s workout. I’ll let you know the results when I finish. How would a program like 50pullups.com be in your opinion? Ian, the program on that website is an excellent way for those who cannot do 5 pullups to begin. The programming for the rest of the steps looks all right, my personal opinion is the Fighter Pull Up Program is a bit tighter and easier to follow. Fantastic Pavel! Thank you, particularly for the detail on different RM & for pure strength! So I’m A little confused. Am I still allowed to do other exercises while performing this workout in between set breaks? Or am I only concentrating on the pullups?And the goal is to Max out everyday? Thanks. Great article! Jim, you may do other exercises in between, as long as they do not interfere with the pullups. E.g., pistols and HSPa are OK; swings are not. I am a rock climber,. Started using this programme (3RM) and I feel strong at the end of each work out!! So used to the usual routine of getting completely knackered once or twice a week, I sure this will improve my strength!! Does not mean that going back to “getting completely knackered once or twice a week” should not be revisited occasionally. Contrast is good. So how much rest do you get in between each set? And should I be performing this workout before my other exercises of my workout? Thanks and great article!!! I’m probably interpreting those incorrectly, but 25RMx20 sounds like doing 20 sets of 25 pullups, or 500 pullups, before the set of 20, then 16, etc. I have been wondering what the original intended time consumption for a session with the fighter program was. I have been the guy fighting to do 1 pull up, but after reading the naked warrior I greased the groove and in the first week I was able to fight for 4-5 consecutive pull ups. Later on after doing relaxed sets of 1 to 4 pull ups througout the day on a regular basis I stumbled upon the fighter program and gave it a try. Following the 5rm model I did the entire 29 days and ended up doing 11 pull ups a few days after. Prior my max set was 6-7 pull ups. The way I structured my take on the fighter program was to do 5 pull ups, rest 1 minute, 4 pull ups and so on. when reaching the days with 8 pull ups I upped the rest period for up to 4-5 minutes. Today I am able to crank out around 15 pull ups without anyone pointing a gun at me or in any other extreme way encourages me to do any more reps. I have pondered over the idea of beginning the fighter program again following the 15rm structure. However I am wondering how the program was intended to be used originally and how others have structured the program. Either I’d do 12 pull ups, take enough rest 4-8 minutes, 10 pull ups, enough rest and so on. Or I’d do 12 pull ups during lunch, 10 during mid afternoon and so fourth. What are your thoughts on which structure benefits the most for a 15 rm? The more reps you can do, the more rest between sets you need on this plan. 4-8min are very fine. Thanks for the article Pavel. I’m eager to start but wanted to ask about what other work should I not do song with it. Would high volume swings interfere with this program? Same for dead lifts. Should all other back work be put on hold? Thanks in advance. Dan, DLs should not be a problem and neither a moderate volume of swings. But not a high volume. Fantastic program! Every time I come back to it I fall right into the groove. One of my favorites as well. Thanks for posting! Looks like a great way to add reps. What is the recommended rest between sets? Joseph, as long as you need. Do not be afraid to take 5-10min when thee going gets tough. On the 25 rm programs: what does 25rmx20 mean? Just that you do your max of 25 followed by a set of 10? Josh, it means lifting a weight that you can lift 25 times if you went to failure. In this case it simply means your bodyweight. We did the same thing the next two weeks with pull ups and experienced similar results. I’ve never made progress that quickly. Note that I’ve been on a consistent bodyweight training program for the past year, so I’m not a total beginner. We decided to take a month and do a more conventional protocol to consolidate the gains. But all three of us are itching to try it again. Thank you, Pavel, for sharing this routine. This program works. I’ve used this with much success. We had tremendous results working with weaker Marines especially when we added some planks. It was common over the period of a several months to see Marines go from 3 or 4 pull ups to 17-20. Great to hear, Bob and Phil! Thanks for sharing this again. I assume, for shoulder health, you need to balance out with pushups. What do you recommend for the pushups please? Igor, the kettlebell military press is one of the healthiest presses. True “balancing out” would come from the bent press, if you can do it. writing this comment to express my appreciation in between the 10 and 8 rep set (day 10: 12-12-10-8-6 reps)! 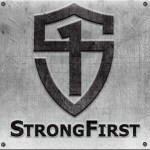 thank you, pavel and strongfirst! My favorite program ever! We use this with tons of our clients and they all get awesome results.